Vale Pianos are hosting a day of free piano lessons and family activities on Saturday September 28. This follows on from March this year when Vale Pianos hosted a “Learn to Play Day” as part of a national initiative. This is a great opportunity to have a sample lesson for you or your child. 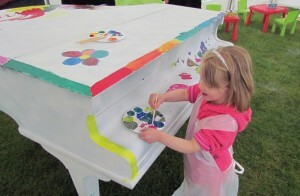 During the day there will also be plenty to keep the family busy – making music with a giant keyboard, a grand piano to paint and decorate, colouring, quizzes and free balloons. Bring a picnic and enjoy all the day’s activities in a lovely rural setting. Refreshments will be available on the day. Come along to Vale Pianos on the Throckmorton Road between Pershore and Evesham on the A44 (postcode WR10 2JY).